Jack & Jill went up the hill to fetch a Pale of water but did they find anything or did they Waste their time? Who knows! From the top they had a Roller Coaster ride back down, good job they were on their bikes as they’d have got Board Walking over all the obstacles. Jack nearly ran over a Badger, and Jill fell off due to her lack of Skills, maybe she should have read one of the signs! It was trip to Hospital that was needed, good job old Tom was there to help them over the old Bridge…… after a Nightmare day on the trails, they were going Ape about what had happened and decided to go back to where they started….. They learned a valuable lesson….. it’s the journey they took and not the destinations they reached…… think about that one…..!! Right then, this weeks Treasure Hunt is the final outing, it's the big finale! And this one one is for the shop locals..... you're going to need your thinking caps on for this one!! And there's not one but FOUR prizes to be won!!!! This has just landed in the shop..... cracking bike!! And at £679, it's great value for money! 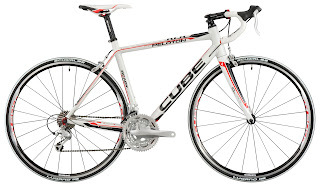 The 2012 Cube Peloton is one of the models in this year's Performance-Series which is made up of affordable, quality road racing bikes. The Performance-Series has been updated for 2012 using the new frame which was developed in 2011, the bikes now have an abundance of technical highlights and the frame is also double butted for the perfect combination of sporting versatility and excellent quality. Even the entry level road bike gets a nice Carbon Fork for 2012, and SORA has gone 9spd..... very nice! Pop into the shop or chek it out in our ONLINE SHOP now! It's been a busy time with all the new bikes arriving thick and fast!! All of these bikes have got an amazing spec for the money and there's something for every trail scenario!! Check them out in our ONLINE SHOP now or pop into the store for a look! 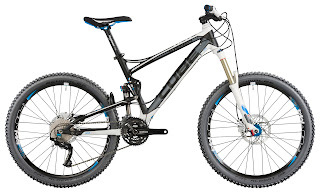 Don't forget, all of our bikes bought in store will come fully assembled and setup to suit you i.e. Suspension Sag, brake lever position etc, and also with 2 free services!! New MKII Booicores in stock! We have just taken delivery of the new, improved Booicore MKII. They are now made from a heavier duty fabric making them even more comfortable and durable. But what is a Booicore I hear you ask? It's simple. Protect the family jewels. Don't get mistaken for a dogger. Don't get arrested for showing your little fella off to passers by. 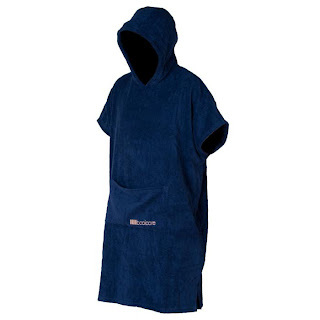 Get dry and change wearing your BOOICORE changing towel. They're built to last. They're big. You can wash them (see - mum/girlfriend/maid) at high temperatures like you do those ancient towels in your bathroom. 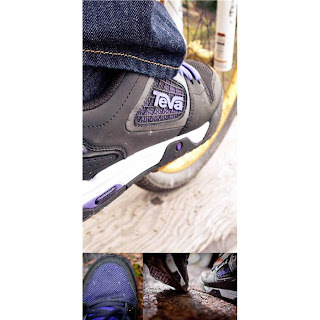 TEVA Links shoes now in stock! They've taken a while to get here but we finally have stock of the Teva Links flat pedal shoe in both the Ultraviolet (purple) and Lunar Rock colourway. Legendary Free rider and street shredder Jeff Lenosky was heavily involved in the design of the Links Shoe and presented Teva with all of the issues that he faced on a daily business with his normal riding shoes. Teva researched and developed there new Teva Links Shoe with the goal of dealing with all of the issues that Jeff Lenosky brought to their attention. Treasure Hunt TICKET NUMBER FOUR. "What's up Doc? I malone in the Forest of the King, I've just finished a downhill and I need a rest. This oak looks good" Another ace prize. This time it's a Conti Tyres Rubber Queen 2.2 Tubeless tyre, Endura Stingray glasses, Continental T-shirt, CUBE Bikes - official page water bottles and a Twelve50 Bikes Team Jersey!! First person to call the shop with the correct "code" wins the booty. If we're closed, leave a message on the answerphone. "On the edge of the Peaks, Shell is Tin. Stop and admire a big nose, after all, it's all downhill from here"
There's a great prize including a pair of the new maxxis High Roller 2 tyres, Endura Stingray glasses, a couple of t-shirts, water bottles and a Smart Lunar light set.The first person to call the shop with the winning "Code" wins! If we are closed, it's first person to leave a message or put the code on FaceBook! "High on a hill in Derbyshire sits a cross. You may need a ladder to reach it, but you'd be crackers not to try..."
We have a few treats in store for you in the run up to Christmas. Every weekend until Christmas we are having a TREASURE HUNT, giving you the chance to "Find" some great stuff!! We will release a pair of clues each Friday evening for two "Prize Stashes" hidden around the North West. There will be no further clues, all you need to know is that the "Clue" will be relevent to a trail spot in areas like the Peak District, Welsh Trails and Local Forestry areas. Once you have figured out the riddle/clue, you have to get out there and find a "Twelve50 flyer". It will be well hidden (i.e. under/behind objects) in a clear "Seally Bag" to stop it getting wet! There will be a code on the flyer, and first person to collect the flyer and call the shop with the "Code" wins, nice and simple!! For clues and more info, take a look at our FACEBOOK page, this is where we will publish clues!! 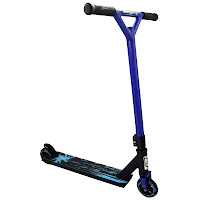 We now have in stock the Mayhem 2 and the Elite 2.